Collecting Timber. 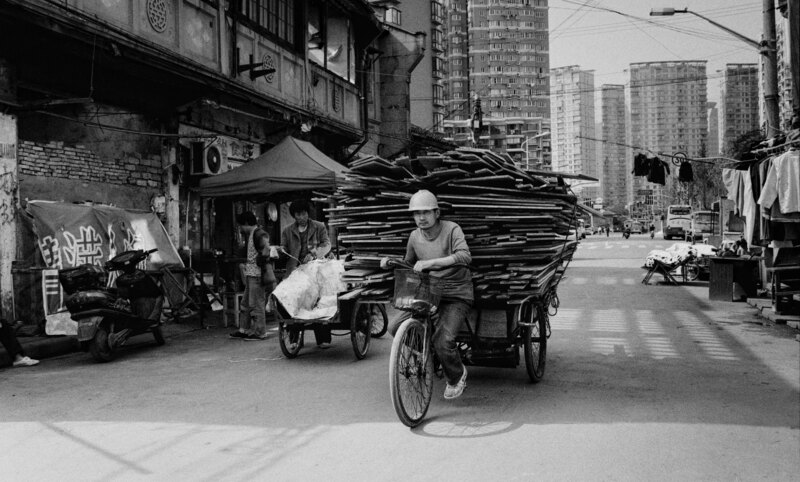 Image taken in Puxi, Shanghai, China with a Leica M6, 35mm Zeiss Lens and Ilford Pan 400 ASA Film. Is it all scrap timber or is it freshly milled? This is reclaimed timber from house demolitions, wooden floors, roof joists, doors etc, they sell it on for retro style new housing projects, designer homes etc . Some of it is also used to make furniture because the wood is often more than 100 years old so it has a great patina.